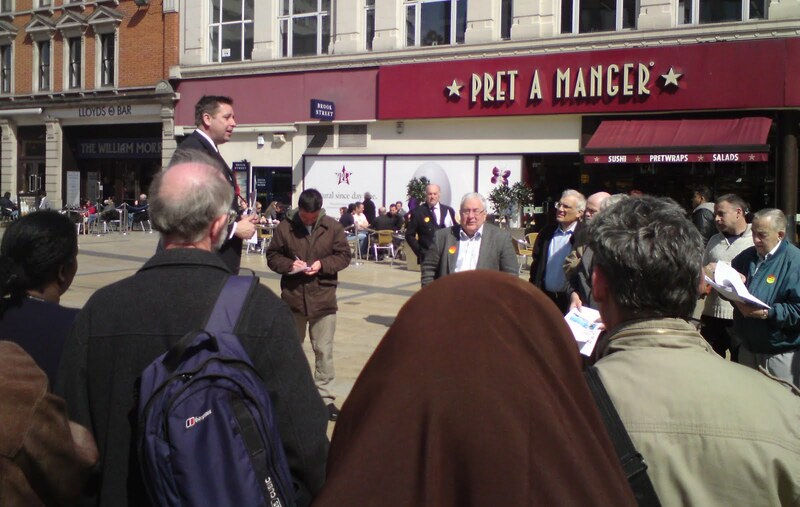 At 2.00pm today I climbed onto a “soap box” in Lyric Square, Hammersmith and launched Labour’s local borough manifesto. Lyric Square was the perfect venue as I wanted to take our proposals to residents and local businesses in the most direct way possible. Having never engaged in old-fashioned soap box politics before I can confide that I was more than a little nervous. I needn’t have been. 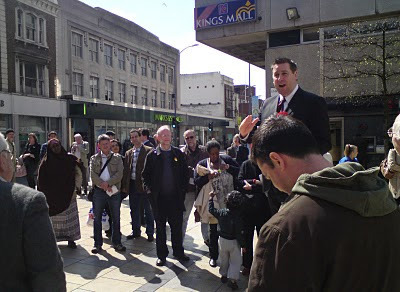 People seemed genuinely interested and wanted to ask me about a host of local issues. My premise was vote for us, or don’t vote for us but know what we stand for and how we want to change Hammersmith and Fulham for the better. I was encouraged by the quite large numbers of people who stopped, joined in asking questions and by the overall positive public response. We have titled our local manifesto “There’s A Better Way”. The global financial situation and its likely consequences for local government funding have left us making modest spending proposals and we list the cuts we would make to demonstrate how we would pay for them. If elected on May 6th we will put more police onto the streets; have better youth services, cut tax and stealth taxes and much more. If you would like a copy of There’s A better Way, please email by clicking here.